Prendi, per me sei libero, a setting by Felice Romani, was composed by Gaetano Donizetti in 1832 (F Major) and premiered the same year. This aria is part of Act II of his L’elisir d’amore. “Aged 35 in 1832, Donizetti composed L’elisir d’amore at the height of his maturity and talent. Since his opera Anna Bologna written in 1830, he has become an internationally acclaimed composer and his works, especially his opera buffas, were among the most staged operas across Europe. Donizetti had a special attachment to the libretto as it echoed a personal event in his life: he was lucky enough to escape military service thanks to a rich woman buying him his rights to avoid it. Act I opens on Nemorino, a poor peasant in love with a beautiful landowner, Adina. When soldiers arrive and the Sergeant starts courting Adina, Nemorino becomes afraid and finds the courage to declare his love to her. Adina however rejects his love and Nemorino is left saddened and distressed. When a quack doctor Dulcamara arrives in town, Nemorino buys him a love potion with all his savings on the promise it will take effect 24 hours after. He immediately drinks the potion (in reality cheap red wine) and sure of his future success, ignores Adina when she passes by which annoys her grandly. The sergeant Belcore soon asks to marry her and Adina accepts in the hope of giving Nemorino a fright and a lesson. However, Nemorino is still convinced the potion will work and refuses to worry. Belcore, learning his regiment is leaving in the morning asks for the wedding to be advanced and Adina accepts. Act II opens on the wedding party. As the notary arrives Adina is disappointed to see Nemorino has not come. Nemorino soon appears desperate at the thought of losing Adina; he begs the doctor for a faster potion. The doctor refuses as Nemorino has no money left. Belcore then appears, wondering why Adina has just put off the signing of the wedding contract. When Nemorino asks him for money, he convinces him to join the army as funds are given at the moment of the subscription. As the two men part, Giannetta reveals to all the women, Nemorino’s oncle has just died and Nemorino is now rich (he and Adina have not yet been informed). When Nemorino’s come back from buying a new potion, the women approach him in the hope of seducing him. Adina, seeing all this is perplexed and the doctor reveals Nemorino’s popularity is thanks to a potion of his own, that he bought, spending all the money he had and even more, in the hope of winning the love of a cruel young woman. Adina realizes all Nomorino has done out of love for her and now understands she loves him too. When Nemorino appears to her, she asks him why he is joining the army. She reveals to him that she has purchased his military contract back and advises him to stay with the people that love him in her aria: Prendi, per me sei libero. Prendi per me sei libero originated was composed by Gaetano Donizetti . The original lyrics are in Italian. The melodious note arrangement of Prendi per me sei libero ranges from pianissimo (very soft) mellow notes to forte (loud) notes carrying the player and the audience through an array of vivid emotions. The sweet soft beginning of the music piece gradually increases and decreases the loudness in smooth transitions. This music piece is decorated with phrases, slurs and an arpeggio. A perfect composition for piano players to try with an intermediate knowledge in music. Students can make use of this sweet music piece to improve their knowledge in music expressions, ornaments and sight-reading, while all music lovers could enjoy this brilliant extract whole-heartedly. 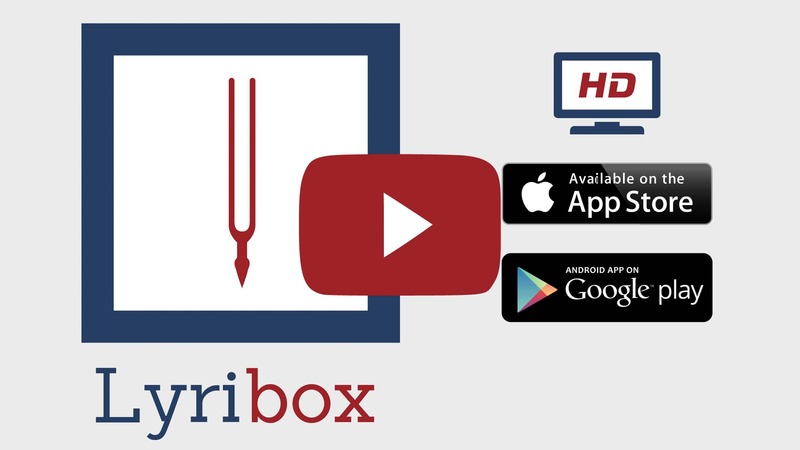 Prendi per me sei libero sheet music produced by Lyribox is clear, precise and is transcribed in English by Lyribox. By purchasing Prendi per me sei libero sheet music from us, you can simply sing along as you play this masterpiece on your piano. Unlike many sheet music sold online with all black notations, sheet music we offer you is marked using three distinct colors. While piano notation is illustrated in black, the music expressions and the lyrics are given in red and blue respectively. Get Prendi per me sei libero by G. Donizetti sheet music from Lyribox today to enjoy and share this wonderful music composition with your friends and family. Prendi per me sei libero piano accompaniment is offered by Lyribox is mellow and smooth. It feeds the poem an underlying pulse, adding a sense of propulsion to it. Meanwhile the vocal line flows in a dreamy leisure manner forcing the audience into a calming and languid mood. The vocal line of Prendi per me sei libero by Lyribox has the potential to provide slight pitch support for the voice’s sometimes unusual intervals, enhancing the fullness of it. This accompaniment is not at all demanding. Using these rich Prendi per me sei libero accompaniments you could create one of the most brilliant performances that is pregnant with layers and layers of expressions. Purchase the Prendi per me sei libero piano accompaniment together with the vocal line accompaniment from Lyribox today!